Silver Lake's neighborhood seafood joint has descended upon Santa Monica's restaurant scene with its second location, gracing Westsiders with its finger-licking grub, draft beers and laid-back vibe. 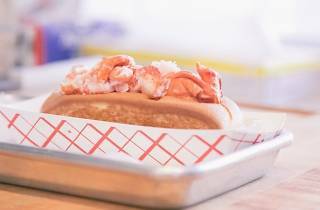 While kitchen staples like the filled-to-the-brim lobster rolls and crab sandwiches, oozy grilled cheese and clam chowder remain on the menu, Knuckle & Claw in Santa Monica introduces new additions like the house made whoopie pie, seafood topped salad, Blue Crab bites, and an extended oyster selection. 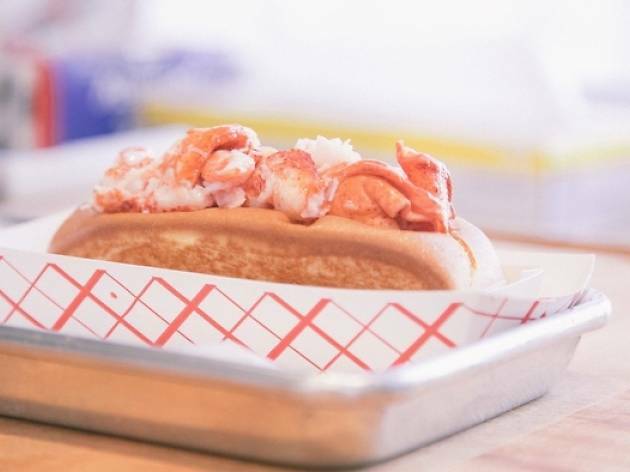 Bite into rolls packed with quality Maine lobster in the outdoor patio.